Heat some oil in flat pan and sauté chopped Veggies adding seasoning to it. 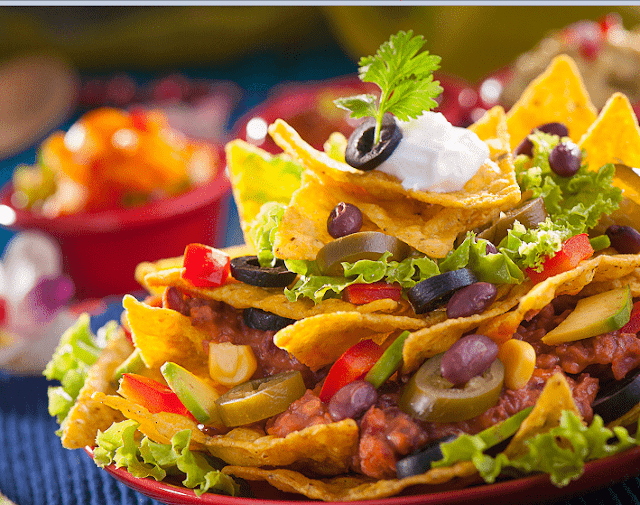 Top the Nachos layer with Cornitos Refried Beans and chopped veggies. Repeat the same layering procedure on top of first layer till a four to five layer Nacho Crisps pyramid is created. Season it well. Add a layer of Grated cheddar Cheese on top. Place the platter in a preheated oven till cheese melts. Garnish with dollop of sour cream and mint and serve along with variety of Dips.